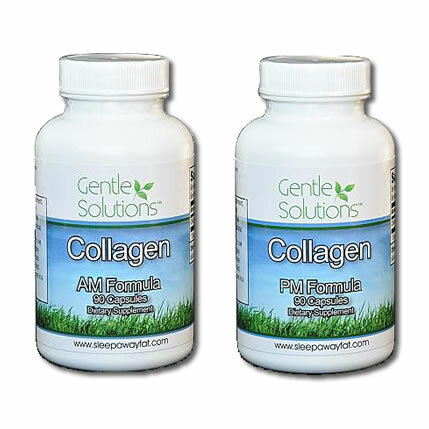 Combo package of both Gentle Solutions Collagen AM & PM. 2 bottles, one for morning and the other for night, to better complement your busy schedule. If you are one of the Millions of Americans that are overweight and you are tired of structured diet plans that set you up to fail then Gentle Solutions Collagen protein supplements could be your answer. Gentle Solutions Collagen protein along with healthy lifestyle habits provides you with great results. Gentle Solutions Collagen protein products are currently helping people across the world lose unwanted and potentially dangerous extra body fat. Being overweight can lead to severe health problems. In fact, according to the American Heart Association, being overweight is the single most independent risk factor for diseases of the heart. In addition, being overweight can also increase your chance for developing diabetes, having a stroke, increase your blood pressure and increase your chances of developing various cancers. Gentle Solutions Collagen protein supplements are all-natural weight management supplements and unlike most weight loss products on the market today, Gentle Solutions Collagen protein is safe and delivers results without harmful side effects. Gentle Solutions Collagen protein supplements are dietary supplement which can help you lose weight without strenuous exercise, or strict dieting; rather a healthy lifestyle. It is a safe and natural weight management supplement which DOES NOT contain ephedrine, amphetamines, caffeine, herbs or harmful stimulants. Gentle Solutions Collagen protein is a safe and natural weight management supplement which DOES NOT contain ephedrine, amphetamines, caffeine, herbs or harmful stimulants. This package contains both the Collagen AM and PM formulas. I have ordered before and wasn\'t sure if it would work for me. It did! This is the only thing I will use. THANK YOU SSSOOOO MUCH!!!!!! So happy with the Collagen Am and Pm it was just the boost I needed to get some weight off and feel better about myself. Great Products! !